Well you may have noticed its been a little quiet around here this week. Following on from our wonderful trip last summer, this half term, Hubby, the kids and I took a trip back to the west coast of Scotland to visit family and have a little holiday. It's a looong drive from where we live - around seven hours if you put your foot to the floor and have a bladder made of steel, more like 8 and a half to nine hours if you have the kids in the back who require feeding and exercising every once in a while. On the way up to Scotland, we stopped overnight in a Premier Inn in Cuerden Way, Preston. We love this particular Premier Inn as it is really modern and has huge king sized beds - the kids find it a real adventure staying away in a hotel, and their hotel breakfast the next day is always a bonus. I can recommend this particular hotel as great for breaking up the journey between southern England and Scotland as it makes travelling much more manageable. My father's family live on the west coast of Scotland near Greenock - recently famous for being the new backdrop for Waterloo Road. 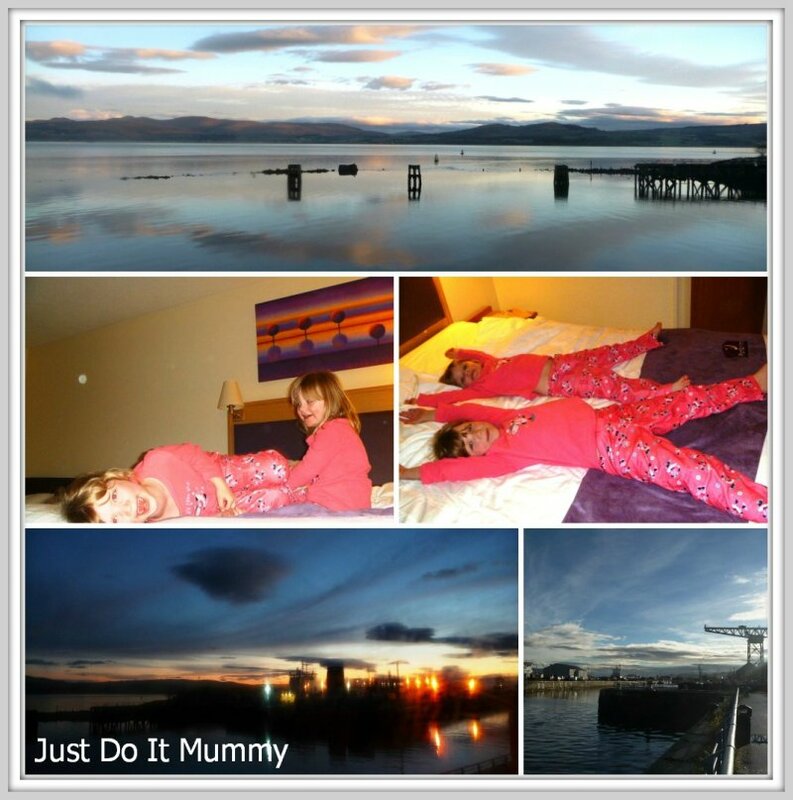 Typically we stay in a caravan park with beautiful panoramic views of the Clyde, but it is far too cold to stay there this time of year and so we opted for the Premier Inn in Greenock. Alas, we were not as impressed with this Premier Inn as the Preston one as the welcome wasn't as friendly, the rooms were really dated and the bed was one of the most uncomfortable I have slept on. They also had a volume lock on the TV - so it only went up to a volume where it was barley audible over talking children - very frustrating, but at least it was warm. We woke up on our first day to rain - typical!! To shelter from the rain, we decided to go to an open day at the Greenock Victorian Fire Station Museum and Heritage Centre. Definitely a good choice as the kids cited this as the best part of their whole holiday. Ten years in the making, this attraction, which opened earlier this year oozes fire fighting history. Housed in the Victorian Fire Station which was operational from 1887 to 1960, displays on show include hoses, vehicles, breathing apparatus, uniforms, ladders, and even a stuffed fire fighting dog! The museum recounts the history of Strathclyde Fire and Rescue Service from 1887 to present. It features the big fires they attended including fires during the blitz, the Cheapside Fire, where many men lost their lives, and the recent attacks on Glasgow Airport. There is a really impressive amount of exhibits on show and history is evident all around. 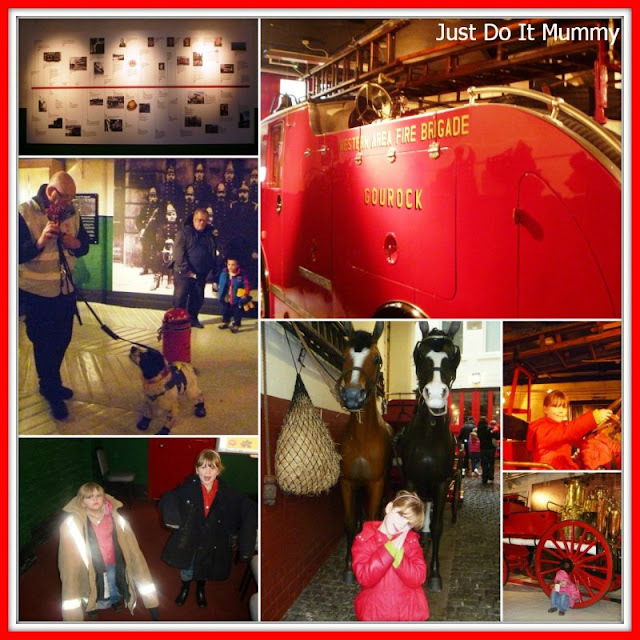 The girls loved trying on the fire fighting outfits, watching Billy the fire investigation dog in action and doing puzzles on the interactive white board. The volunteers were all extremely knowledgeable about the station and it's history, and what was even more lovely was that they knew all of the past firefighter's names, and could tell you about their families, even up to the present day. Community in this part of the world is evident as people do not tend to stray too far from their birth place. This was definitely a fantastic day out that I would recommend to anyone - whether you are a visitor, or local to the area. For more info and to see when the museum is open, see the Strathclyde Fire and Rescue Preservation Group website. The following day we took a trip to Loch Lomond, which has beautiful views, and walked around the scenic village of Luss - life definitely is very different here to back home! I wouldn't mind waking up to this beautiful scenery every day. The girls loves exploring the stony shores and brought some "shiny stones" back home with them. They couldn't believe that the water was so clear - not like our dirty shores of the south. On our final day we went down to Largs - a seafront village which boasts the famous Nardini's Cafe - especially known for it's ice cream. The girl's love coming here when we visit Greenock and even though the sea was pretty choppy and the the rain was setting in, they had a great time walking along the sea front and eating their ice cream. We had decided to drive home in one go - ten hours in the car to entertain the monsters. Luckily they were happy to play games, read and sleep, and hubby and I took it in turns to drive. 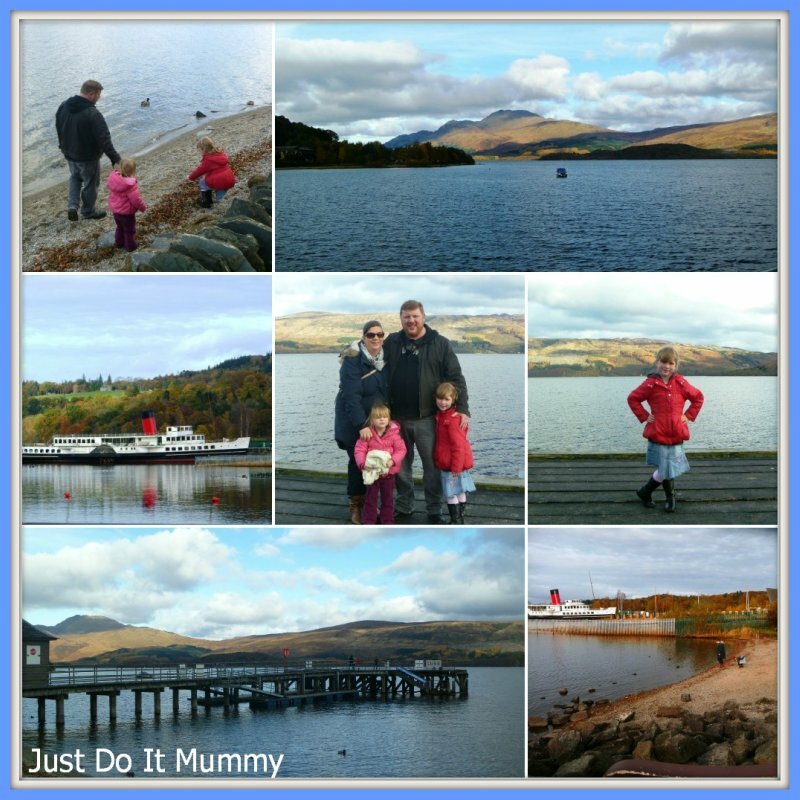 Another lovely half term holiday!